Bar tokens, traditionally made out of inexpensive plastic, wood, or metal, are used in place of legal currency or for commemoration in drinking establishments. Bar owners love'em! 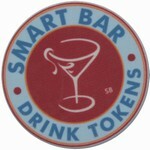 How are SmartBar Drink Tokens Different? We make collectible quality, full-color, double-sided bar tokens out of luxurious composite materials. This SmartBar twist adds a very profitable souvenir dimension to an already powerful bar token model. The nicer the bar token, the faster they walk out the door and never return. Buy for 60¢– sell for $2-$4 all day. See and feel the quality and beauty of our SmartBar drink tokens before you buy with a sample of seven different example tokens. You really have to see these in person to realize how far superior they are to traditional wooden nickels or cheap plastic drink tokens. So you can see how great your actual design comes out on real pub tokens, we now offer low-cost prototyping. See the high-resolution graphics, full-color spectrum design capabilities, and 100% customization on the face and rolling edge of the pub token. 1.5 hours of back and forth design services from our world class Canadian illustrator. This required step gets your bar token design into the best possible print ready format to ensure the best possible outcome for your final bar token. 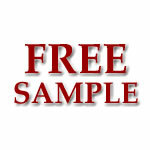 See and feel the quality and beauty of a SmartBar drink token before you buy with a free sample. You really have to see these in person to realize how far superior they are to traditional wooden nickels or cheap plastic drink tokens.